This entry was posted in Mice and tagged carrot, cucumber, eggplant, tomato. Bookmark the permalink. 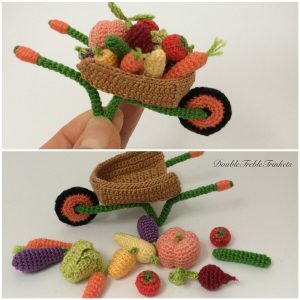 Awesomely cute veggies…is there a pattern for the wheelbarrow? 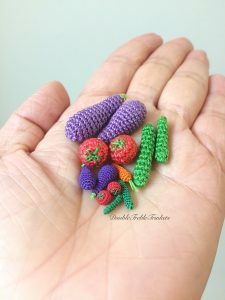 Cute little vegetables. They are great to use in a dollhouse. Thanks for sharing the patterns. These are so amazing. Thanks so much for sharing! !